Peter P. Ferraris attended Stamford Public Schools, graduated from J.M. Wright Technical High School with a degree in Construction/Carpentry. Upon completion of a Carpentry Apprenticeship, he enrolled in Danbury State Teachers College AKA Western Connecticut State University and graduated in 1965 with a degree in Elementary Education. Peter taught 6th grade at Julia A. Stark School in Stamford, Connecticut from 1965-1970. During this period, he secured a Real Estate Brokers License and pursued residential and commercial real estate. Peter was appointed to the City of Stamford Zoning Board in 1968 and served for 10 years. Peter purchased the Brennan Tooher Agency in 1970 and renamed it Tooher-Ferraris Insurance Group. 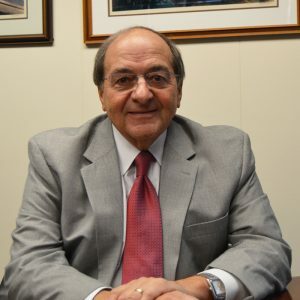 Peter’s education and career choices gave him a unique expertise that helped him build one of the leading independent insurance agencies within the State of Connecticut. Understanding construction is basic to property insurance underwriting and claims settlement. Education and teaching helped create presentations for both customers and staff that produced a better understanding of the products they were purchasing and selling. Peter enjoyed all of his career experiences and could have been satisfied with any of these choices. However, insurance had a special call and pulled together his experiences and the desire to develop a successful business. Eric P. Ferraris is Chief Operating Officer and Head of Business Development for Tooher-Ferraris Insurance Group. 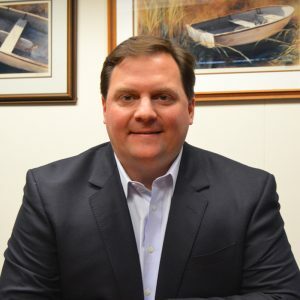 Since joining the firm in March of 2001, Eric has focused on delivering tailored insurance and risk management solutions to businesses, families, and individuals throughout the Northeast. Along with running the day-to-day operations of the firm, Eric’s focus is on the client-driven approach which makes the customer experience unique. His passion for insurance and risk management becomes apparent to each person he meets. Eric views the sale of an insurance contract as the beginning of a long-term commitment to deliver superior customer service. Eric looks to build long-standing relationships throughout the community, both personally and in business. Before joining Tooher-Ferraris, Eric received a Bachelor of Science (Class of ’98) at Skidmore College, in Saratoga Springs, NY. Immediately following college, Eric worked at priceline.com in various capacities within Information Technology and Marketing. This experience provided Eric with a real-world graduate level experience based on the incredible people and entrepreneurial nature of the business. 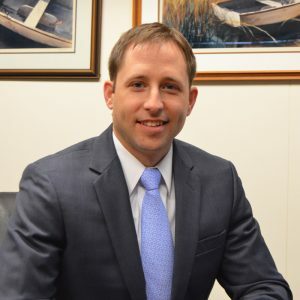 Eric resides in Darien, Connecticut with his wife and their three children. In his spare time, he enjoys being with his family, friends, playing golf and ice hockey, fishing and the beach. 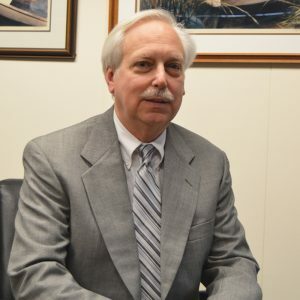 Chris Tallcouch has over 30 years of service in the Property and Casualty Insurance Industry, 25 years of service which have been as a property and casualty practitioner at Tooher-Ferraris Insurance Group. Chris has developed the arborist and landscaping programs at Tooher-Ferraris and is an authorized agent for both the Acadia Insurance Co. Arborist Program & TCIA ArborMax Program. He also specializes in workers compensation coverage, using a “hands-on” approach to guiding clients, allowing them to create payroll records that are correctly formatted in order to comply with company and state requirements. Chris received his bachelor’s degree with a concentration in communications from Central Connecticut State College in 1980. He grew up in the town of Fairfield, and has resided in Stamford for nearly 30 years. Chris is married with three children. Frank joined Tooher-Ferraris in 2015 as the Vice President of Community Associations. Previously he worked as a Program Manager and Business Development Manager with DRS Technologies in Bridgeport, Connecticut. During his time with DRS Technologies, he was responsible for the execution and risk management of the military vehicle power line of products. Before entering the traditional work force, Frank served six years in the U.S. Army after graduating from West Point with a B.S. in mechanical engineering. As an infantry officer he served in various leadership positions with the Ranger Training Brigade and the 82nd Airborne Division where he completed one deployment in support of Operation Iraqi Freedom from 2006 to 2007. Frank currently lives in Weston, Connecticut, where he enjoys raising his three young boys with his wife, feeding the local wildlife through his gardening efforts and frequent DIY home improvement projects.